Struggling with social media engagement and social referral traffic? 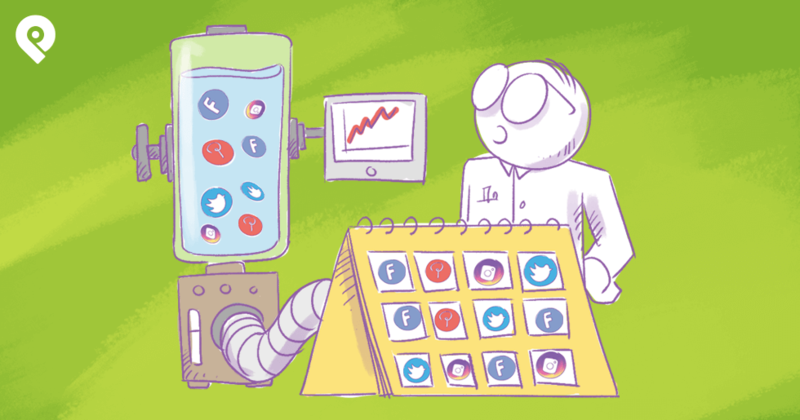 How about all the social media metrics out there? Especially with so many different social networks, tactics, and channels. By 2016, 50% of businesses will rely on social media as their primary tool to reach new customers.1 As a (bootstrapped) startup, making the most of all marketing investments is critical. I'm sure it is for you too. Caveat: For marketers and businesses that depend on social referrals to their websites. What are people thinking when deciding to buy online? We're all familiar with the customer journey (the various factors and forces that influence typical purchasing behavior). David Edelman of McKinsey & Company does a great job simplifying it as the "Social Journey." I like it and am going to run with Social Journey. This is the basic conversion path that turns prospects into buyers. Social media marketing - done right - is a complex process. It's one that takes time. It can lead to fantastic results and huge returns on investment for businesses of all sizes. To help you better understand how the social journey impacts you and your potential customers, I'm sharing my own social journey with Stir. To keep things simple, I'm going to use Facebook and Fan(s) in my examples below. What does the anatomy of a social conversion look like? Consider: This may be the first interaction a social media user (user) has with your brand. For e.g. a Facebook post you shared. It's also the stage where you begin to build a relationship with them. Your first goal during this stage is to get a new Fan. Demonstrating empathy early on is important as they learn more about your brand. You'll continue to nurture them with more posts. If you nail this, they'll move to the next stage. Be sure to have enough fun, insightful, and actionable content as possible. How It Began - My Social Journey with Stir I first learned about Stir from a post shared by a friend on Facebook in late 2013. It was about the effects of sitting vs. standing at work. I was curious since I'm chained to my desk throughout the day. They had me when I read you could burn 30,000 more calories in a year just by standing more during work. The article resonated with me. I liked the Page. Evaluate: This is when your Fan checks out your product or service for the first time. You've established enough credibility and interest with them. The awesome content you're sharing is working. It's a tough nut to crack, but timing is everything if you're going to ask them. I prefer the subtle approach. 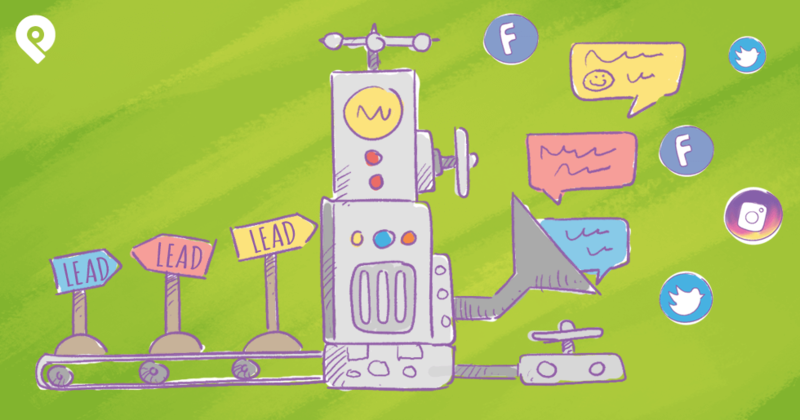 Optimize your calls-to-action (CTAs) on your website and drive Fans there with great content. Timing is important. If every other post you share is an ask - you'll turn Fans off fast. There's a lot more going on in the Fan's head than you know. Remember that users are on Facebook to connect with people and brands they love. Push & Pull: Will this make my life easier? Do they understand my problem? Does this solve it? Am I satisfied that this new product will be better than what I have now? Push and Pull move a buying decision forward. Anxiety & Habit: The bigger the price tag the greater the anxiety. We're all creatures of habit. This comes into play a lot more than you think. I felt it recently when I got the notification to upgrade to El Capitan on OS X - which is free. Anxiety and habit can hold a sale back or kibosh it all together. Users will take more time to convince if you haven't done a good job building rapport and proving empathy. Remember how easy it is for them to get to a second or third opinion with just a few clicks too. My Social Journey with Stir (continued) Stir posted occasional updates on Facebook via their Page. I ignored the posts about their accolades for a while. Then I saw an article about POTUS checking out the Stir desks. I laughed at the pun - he was "moved." Finally, I saw Robert Scoble's video of his Stir desk in my Newsfeed. While I knew that Stir wouldn't make it into the Oval Office, the video got me interested. It created enough desire for me to click the link to their website to learn more. Whoa! A $3,000 smart desk? I still needed more convincing. I continued to Evaluate Stir over the course of eighteen months. They could have done a better job sharing posts on their Page that hit at the heart of my desire. Remember what I said about "empathy?" Their PR team made up for it though. "Sitting is the new smoking" was an article I read on Fast Company. Then another one on Business Insider which opened me up to the human side of Stir's CEO. Okay, they finally had me. I added Stir to my wish list. (A list I keep for purchases I reward myself with after exceeding personal goals). Buy: The culmination of the efforts to date. That big payoff when your Fan finally becomes a customer. After all, this is the ultimate goal we strive for with all our marketing. But it doesn't end here. Users will go through the Evaluate and Consider stages before making a decision to Buy. The time they spend in the former stages depends on many things like what we discussed above. This conversion usually happens off social media on your website. Unless you have social commerce capabilities. My Social Journey with Stir (continued) In mid 2015, almost two years since I met Stir - I took the plunge. I consider myself a pragmatic geek. I'd prefer to invest my money on tools that improve my performance. So instead of a shiny red F430 - I bought the Ferrari of desks which will arrive in a few weeks. I'll keep you posted on the story and the results. Now that we understand the Social Journey, let's talk about tactics. You should focus your messaging on social media to each stage of the social journey. It should revolve around four specific functions which I'll get into shortly. It sounds a lot harder than it is. For the most part, it just means publishing posts that people want to consume. Knowing that your Fans will be at various stages of the Social Journey -- create a wide mix of visual content, status/text posts and evergreen content (or 3rd party links). First, a cautionary tale: I know a guy - let's refer to him as Guy. When we're together, he hogs the discussion and talks about himself the entire time. I'm usually bored by the second beer and switch to the hard stuff to raise my spirits. Pun intended. But, doesn't this sound familiar? In my opinion, the same rule applies to brands with social media messaging. Stop talking about yourself so much. Monitor: Keeping a close eye on brand mentions, trends, and insights. This function spans the entire Social Journey. Respond: Handling inquires from Fans and customers is critical. Have someone on your team dedicated to this and act fast. Another McKinsey & Co. report suggests that 78% of prospects have bailed on a sale because of poor customer service. Amplify: Share the positive stories from customers. 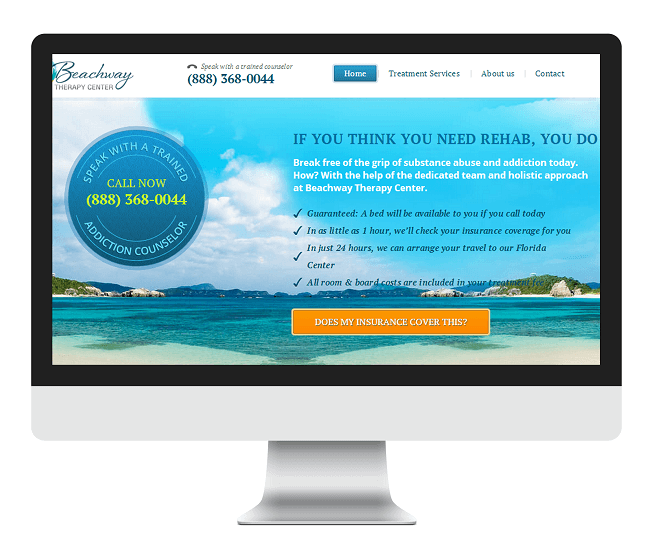 Showcase testimonials and case studies. Invite Fans and customers to share their experiences on social media. This leads to strong brand affinity in the latter stages of the Social Journey. Lead: This is where your messaging strategy kicks in - big time! Use your social posting strategy to achieve the desired outcome for each stage. Here's where a wide mix of content comes into play. Organize it to the different stages of the Social Journey. Consider: You're seeking awareness. New Fans and of course engagement (likes, comments, shares, and clicks). Posting strong visual content is excellent to start. You know - the cool quotes we've all seen. The amazing photos. The funny videos that Fans relate to. Mixing it up with status and text posts. Asking questions increases interaction. Sharing insightful and interesting facts. I like industry related statistics too. Sharing Evergreen content from your Blog. When creating awareness you want to focus on wider topics. Ensure you're solving real-world problems with actionable advice. Remember the story about Guy. Evaluate: You want to build on the previous interactions and establish rapport. The easiest way to do this is to continue to share great content. Your goal is to establish credibility and prove empathy. Signaled by engagement on your posts - usually your evergreen content. Elevate your visual content with more in-depth materials. For e.g. Infographics. You don't have to be a designer to make one these days. Short video content is also easy to create. My pal Scott Ayres swears by Blab. Here's a long one as an example - any length is fine - as long as it provides actionable information. Other live streaming apps like Periscope are pretty cool too. Your status updates/ text posts should focus more on industry related facts. Quick actionable advice and questions related to problems your Fans can relate to. Your evergreen content should mature in its context. Begin to focus on more precise topics and problems faced by your Fans. 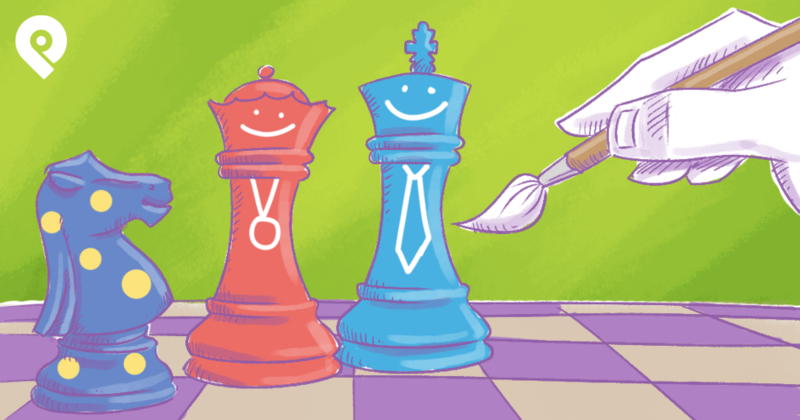 Keep providing actionable advice, plenty of real-world examples, and keep it simple. Buy: Timing is everything. It's like asking someone you just met for twenty bucks for gas. The ask (CTA) should occur on your website - unless you have social commerce. Put yourself in the shoes of the prospect. Make sure the CTA is clear. Headlines that address a specific problem resonate well. Focus on the struggling moment. The screenshot below is an excellent example. h/t Alan Klement for the image and advice. Remember the anxiety I mentioned above? Defuse it! Don't hype your product or ramble on about benefits. Take a few moments to answer the common questions. How can I measure progress on social media conversion paths? That's a great question! 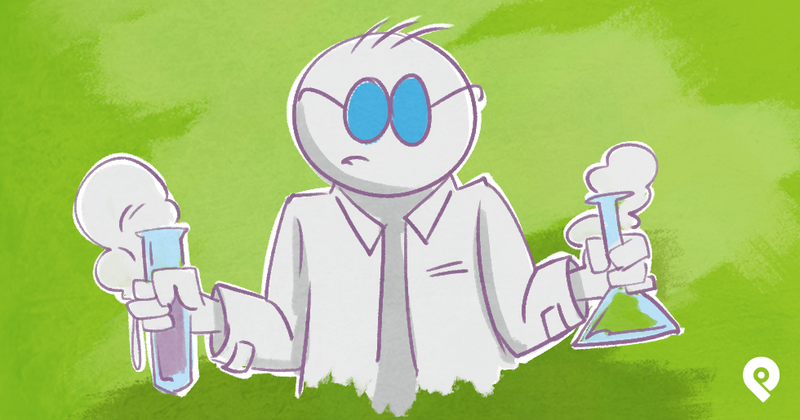 There's a lot of debate on which metrics matter and what to track. I'm going to cut right to the chase. The one-metric-that-matters (OMTM) on social media is engagement (likes, comments, shares, clicks, retweets, favorites, +1s, re-pins, etc.). Does it enable me to take action? Run tests to improve performance? Indulge me for a moment. Page Like Counts and Reach on Facebook are two popular metrics tracked. We're in the Consider stage. We have 25,000 Fans and Reach of 79,679! That makes me feel amazing but there's not much I can do with that information is there? Sure -- Page Likes indicate momentum and Reach a wider audience. But, it may not correlate to interactions on the posts I'm sharing. That's what I'm after. Engagement on my Page (Engaged Fans) and Post Engagement are metrics that I'd answer "Yes" to on the questions above. Likes, comments, clicks, and shares on my Facebook posts send strong signals. I get a clear picture of what type of content my Fans consume (likes and comments). I get precise data on the content my users advocate (shares). It helps me to decide what tactics to improve or drop. I can run A/B Tests on posts for optimization. It allows me to prove/ disprove my content strategy's hypotheses. It indicates the progression of my Fans along the Social Journey. The difference between these two types of metrics are often referred to as Vanity Metrics vs. Actionable Metrics. The latter is what you should focus on. On social media, the most important metric (OMTM) is Engagement. It provides you with the clearest information you need to move Fans along the Social Journey. Now having said all that, let me remind you that social media is a complex process. Engagement is the hardest outcome to achieve. Businesses of all sizes strive for more engagement on their campaigns. 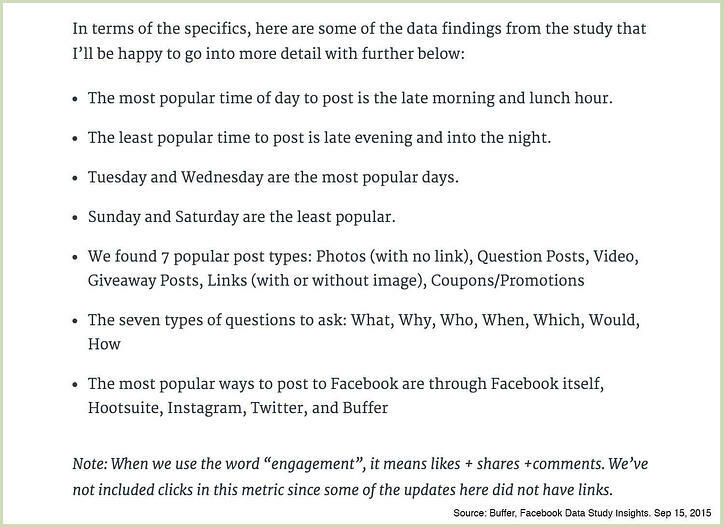 Our friends at Buffer recently completed an analysis with BuzzSumo. They took a look at over 500 Million Facebook Posts. They set out to answer one question. How do the best performing Facebook Pages get all that amazing engagement? The results were pretty awesome. h/t to Kevan Lee who did an impressive job summarizing their findings. Keep the insights from the diagram above in mind when refining your messaging strategy. 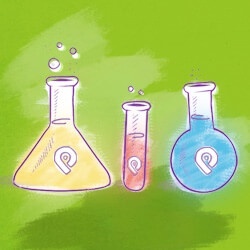 Measure the engagement on each type of content you post. Ensure a strong variety in the type of content you post. Use visual content and questions to increase engagement. Then follow up with relevant evergreen content to increase social referral traffic to your website. If your page is new, focus more on engaging targeted users to convert to Fans. These are the folks whose problem(s) you solve. If your page is mature, hone in on the struggles of your users with your posts and evergreen content to drive traffic back to your site. This will help filter out the passive or lurking audiences. They don't lead to your end goal anyway - so don't worry about it. If sharing offers via your social messaging, drive social referral traffic to well planned landing pages. Measure engagement to analyze what's working in each stage of the Social Journey. Increase the frequency of high performers. 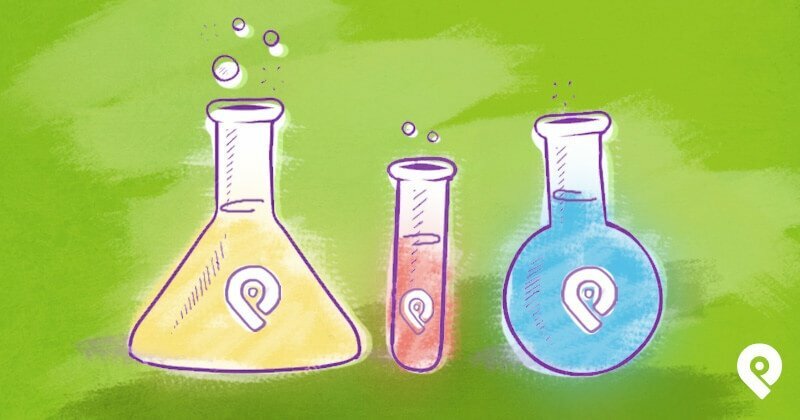 Use A/B tests to improve low performing posts by looking for trends in higher performing ones. 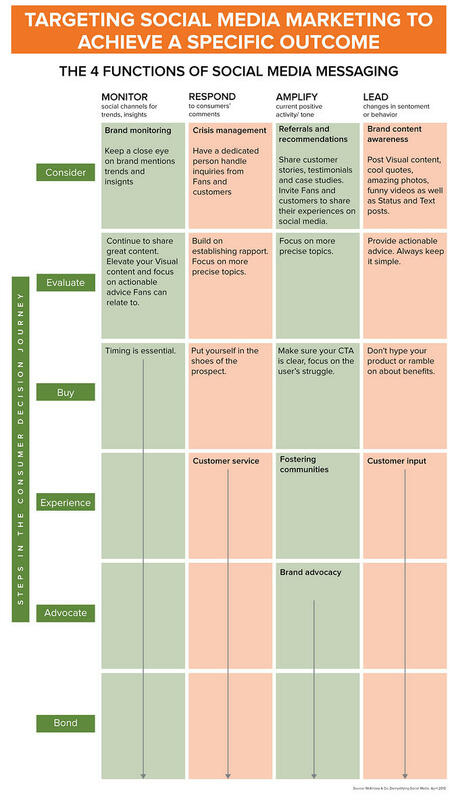 Be consistent with a balanced messaging strategy for each stage of the Social Journey. Once you gain momentum, consider using technology solutions so you can scale. I've spent most of my career working with conglomerate organizations and Fortune 100 companies. My mandate included leveraging their massive data sets with technology solutions to increase revenue. 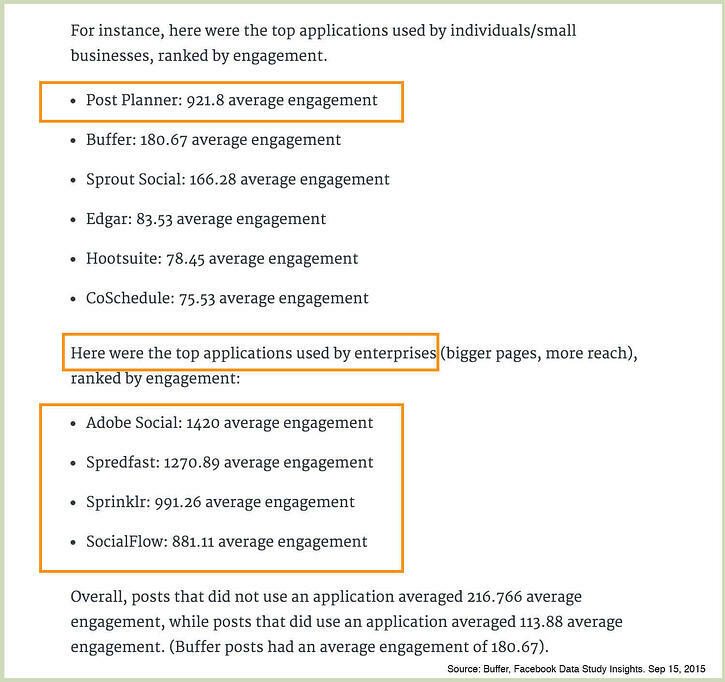 Humblebrag: I love seeing Post Planner's engagement levels on par with some of the leading enterprise applications. According to Buffer, Post Planner users get 650% more engagement than popular social media tools! w00t! Marketing on social media is difficult. But the good news is -- it doesn't have to be. Understand the reasons your customers buy from you. Ask yourself, "What are their struggles?" Use that information to tailor your messaging along the Social Journey to nurture prospects. Focus on increased engagement in each stage. Don't forget the four functions of messaging and use a balanced approach within the Lead stage. Focus on the one metric that matters -- ENGAGEMENT. Use technology solutions to scale your marketing once you have mastered the basics. Share your progress and thoughts with us too!